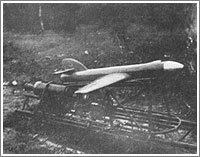 Cruise missile is born in the midst of "Great terror"
On January 29, 1939, a small winged rocket took to the sky at a test range near Moscow. Code-named Vehicle 212, it brought Soviet rocket scientists closest to the development of an unmanned cruise missile. Vehicle 212 sported many elements of its future successors, first of all, a three-axis gyroscopic autopilot. The development of this rocket was also a backdrop for crucial debates among Soviet rocket pioneers and the missile's arrival on the launch pad coincided with the most horrific events in the Soviet history and in the life of Sergei Korolev, the founder of the Soviet space program. Vehicle 212 and its takeoff sled. Early trials of an experimental Vehicle 216 in 1936, featuring a rudimentary autopilot designed to control elevator and ailerons, were largely unsuccessful and were eventually superceded by a newer project known as Vehicle 212. Most importantly, the new rocket was to be equipped for the first time with a three-axis gyroscopic stabilization system, GPS-3 (from Gyroskopichesky Pribor Stabilizatsii), developed at Department No. 8 under the leadership of Sergei Pivovarov, a veteran of Korolev's 4th brigade at the Group for Studies of Reactive Motion, GIRD, in Moscow. This latest addition made Vehicle 212 a truly modern rocket. Although Vehicle 212 was conceived as a weapon for delivering 30 kilograms of explosives to ground targets (71, 137), an experimental version of the rocket was to carry a parachute in its nose section. 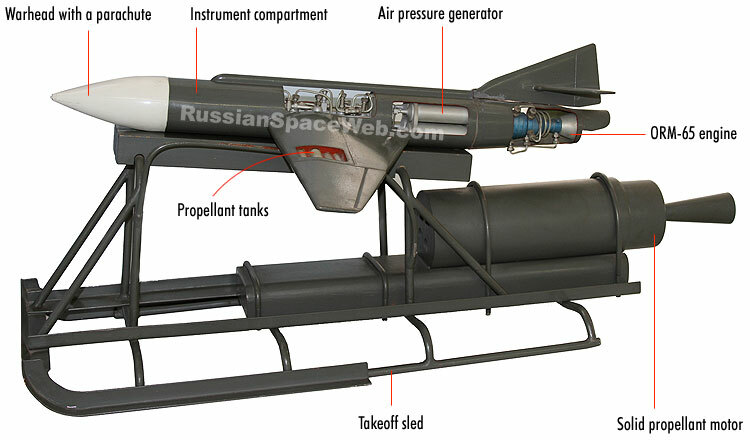 Following the analysis of potential propulsion systems for the rocket, developers chose the ORM-65 engine originally proposed by Valentin Glushko for a possible anti-aircraft missile. With a projected mass of just 10 kilograms, the engine burned a mixture of kerosene and nitric acid and promised a thrust of 150 kilograms, becoming the most advanced Soviet rocket propulsion system of its time. (424) After burning for less than a minute and a half, it would enable the rocket to strike its target at least 50 kilometers away. 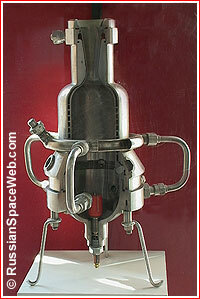 Still, the choice of the ORM-65 engine was apparently very controversial. 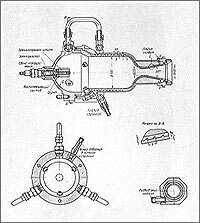 The leadership at RNII favored Glushko's nitric acid engines over the alternative liquid oxygen propulsion systems developed by Mikhail Tikhonravov, Leonid Dushkin and Andrei Kostikov, all former members of the Moscow-based rocket research organization known as GIRD. The management at RNII rejected the use of cryogenic propellant on the battlefield as impractical. This fact might serve as evidence that the Soviet leadership did not know about the development of German ballistic missiles, which all used liquid oxygen. As a result, a whole group of Muscovites, who advocated cryogenic engines, felt sidelined by the top management. (113) Surprisingly, Sergei Korolev, who also came to RNII from GIRD, apparently pragmatically sided with his managers and thus unknowingly planted seeds of a future catastrophe. The first assignment for Vehicle 212 was issued on March 20, 1936, however during that year the Commissariat of Heavy Industry, NKTP, which oversaw the institute, apparently recommended to limit the missile's development. Still, the preliminary design was ready on July 26, and the working project by August 1. The working plans of NII-3 for 1937 gave priority to Vehicle 312 (formerly 212), even though in parallel, development was to be conducted on a piloted rocket glider known as Vehicle 318-1, which in turn would serve as a precursor to a rocket-powered fighter aircraft designated Vehicle 318. In his annual report for 1937, Korolev blamed big delays in hardware production for stalling development of the rocket. According to Korolev, the delivery of four experimental versions of Vehicle 212 dragged from December 1936 until August 1937. Even when they did arrive, their condition was completely unsatisfactory, Korolev complained. His group had to fix and re-assemble the vehicles. In addition, Group No. 10 at NII-3 was late with the delivery of engines and Group No. 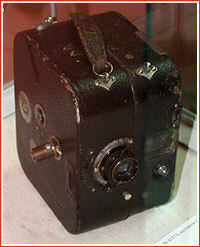 7 with the automatic stabilization mechanism, Korolev wrote. While the RNII engineers struggled with their unprecedented challenges in 1937, Stalin's "Great terror" reached its peak. One of the most prominent victims of this genocidal campaign was Marshal Mikhail Tukhachevsky, Stalin's potential political rival, who also happened to be the founder and patron of RNII. Naturally, following Tukhachevsky's arrest in May, purges spread down the lines of his political, professional and personal connections. The head of RNII Ivan Kleimenov and chief engineer Georgy Langemak were arrested on November 2, opening the door to persecution at the next level -- the top engineering brass. Few weeks before their execution in January 1937, Kleimenov and Langemak, without any doubt under severe torture, signed "admissions," which implicated Korolev and Glushko in conspiracy to sabotage the Soviet defense effort. At the end of December, the secret police ordered the new management at RNII to remove Korolev and Glushko from all leading positions. On Jan. 1, 1938, Korolev was demoted from his position in Group No. 3 to senior engineer. The group itself was re-designated No. 2 and Vechaslav Dudakov, who had previously disagreed with Korolev on the role of manned rocket planes, was appointed its head, thus becoming Korolev's boss. All vehicle designations again had to start with "2". In addition to being ostracized for his links to the "enemies of the state," Korolev clashed with the new management of NII-3 on the direction of his engineering work. Some of his old colleagues, who had been sidelined during the "old regime" at RNII, now decided to use the situation to advance their careers. However it would take almost a year of sociological torture and persecution at work before Korolev would finally be sent to GULAG. From January to March 1938, Korolev struggled to renew his annual classified work clearance. On March 23, 1938, Valentin Glushko was arrested, essentially, delivering a message to Korolev that he would be next. Korolev faced a perfect storm, when his political problems of Stalinist paranoia were compounded by the natural technical challenges of his cutting-edge engineering work. On May 13, 1938, an engine exploded during testing of Vehicle 212. A commission led by Mikhail Tikhonravov investigated the failure. On May 27, near the city of Noginsk, Korolev along with four other people boarded a TB-3 bomber, which lifted off with a prototype of Vehicle 212, designated 201, suspended below. However during an attempt to drop the mockup rocket from the aircraft in mid-air, it unexpectedly stuck partially suspended on its launch rail. As the aircraft was approaching the runway, the mockup suddenly shifted back, fortunately not causing a crash at touchdown. Still, the incident was followed by another investigation, which added even more tension to the political climate around Korolev. After the engine of Vehicle 212 was fixed following the failure on May 13, two successful tests were conducted on May 26 and May 28. However a new disaster struck a day later. Right before the firing on May 29, Korolev's associate Arvid Pallo and his mechanics checked propellant lines and suspected that some of the interfaces were not tight enough. Pallo proposed Korolev to cancel the firing and redesign some seals. Korolev lost his temper and said angrily that he did not need any further assistance. As predicted, during the test, the pressure tore off one of the lines, which hit Korolev on the head. Bloodied and shaky he walked outside covering his head with a handkerchief, then fell and stood up again. Korolev's associate Dmitry Shytov saw him through an office window, ran outside and helped him to the medical office. When the medics arrived, Korolev asked them to drive him to the Botkin hospital where his wife Ksenia Vintsentini worked as a surgeon. She found him lying on the stretcher pale and motionless. As it transpired, Korolev had brain concussion, but by pure luck, his skull was not fractured. Arvid Pallo arrived to the hospital the next day and Korolev readily admitted ignoring his colleague's warning. Korolev spent around three weeks in a hospital and after few days at home went to work, with his injuries still not fully healed. On the way to the institute, he stopped by his parents and told them that he did not know what to expect upon his return. His mother, who understood that he was in mortal danger, tried to convince him to leave his hellish job. However Korolev took fatalistic attitude, reminding her that he had nowhere to run and that all his life was at the institute and he was determined to defend his cause no matter what. After the arrests of Korolev and Glushko, the remaining staff at RNII continued the development of Vehicle 212. (54, 82) Aleksandr Dedov took the leading role in the project. (18) On Jan. 19, 1939, the decision was made to replace the troubled ORM-65 engine on Vehicle 212, due too many explosions caused by ignition problems. The rocket itself was to be renamed Obyekt 803. (84) The ORM-65 engine was dropped from the design of the rocket-powered glider 318-1 as well, which also remained unfinished after purges at the institute. The RDA-1-150 engine developed by Leonid Dushkin and based on the ORM-65 was married to the project instead. Along with Stalin's purges, which left the rocket research institute in a considerable turmoil, problems with the autopilot of Vehicle 212, clearly the most challenging aspect of the project, probably led to its premature demise. (681) Soviet rocket scientists would jumps-start the development of winged rockets at the end of World War II, getting a whole new perspective on this exotic weaponry from German Fi-103 (V-1) and Hs-293 cruise missiles. 1936 March 20: The first assignment for the Vehicle 212 is issued. 1936 July 26: The preliminary design is completed. 1936 August 1: The working project is completed. 1936 Nov. 5: Official static tests of the ORM-65 engine after 17 preliminary tests. 1936 Nov. 17: First catapult tests with Vehicle 212 mockups. 1936 December: Vehicle No. 1 is delivered. 1937 February: Vehicle No. 2 is delivered. 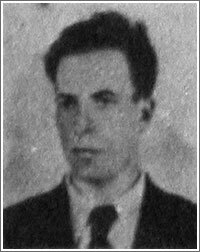 1937 May: Marshall Tukhachevsky, patron of NII-3 (RNII) is arrested in the midst of Stalin purges. 1937 August: Vehicles No. 3 and No.4 are delivered. 1937 March: Tests of engine hydraulic system. 1938 Jan. 10-11: Former managers of RNII/NII-3 are executed in secret. 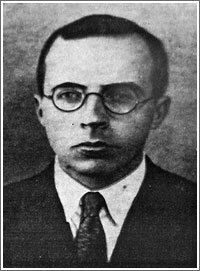 1938 March 23: Glushko is arrested by Stalin's secret police. 1938 May 13: Vehicle 212 explodes during an engine test. 1938 May 27: A prototype Vehicle 201 fails to be released from a TB-3 bomber for a gliding flight test. 1938 May 29: Korolev is injured by an explosion during bench testing of the 212 rocket. 1938 June 27: Korolev is arrested by Stalin's police. 1938 Sept. 27: Korolev is sentenced to 10 years during Stalin's terror. 1939 Jan. 29: First test launch. Parachute deploys prematurely. 1939 March 8: Second test launch. The rocket went out of control. Yevgeny Shetinkov was a key engineer behind Vehicle 212. Sergei Pivovarov led the development of the first three-axis gyroscopic autopilot for Vehicle 212. Vehicle 212 probably photographed at RNII in Moscow. A possible early version of Vehicle 212 during pre-flight testing. The first Vehicle 212 during testing, probably at the Sofrino test range, east of Moscow, during flight trials at the beginning of 1939. No photos of the rocket in flight had been seen. A gyroscopic autopilot GPS-3 for Vehicle 212.